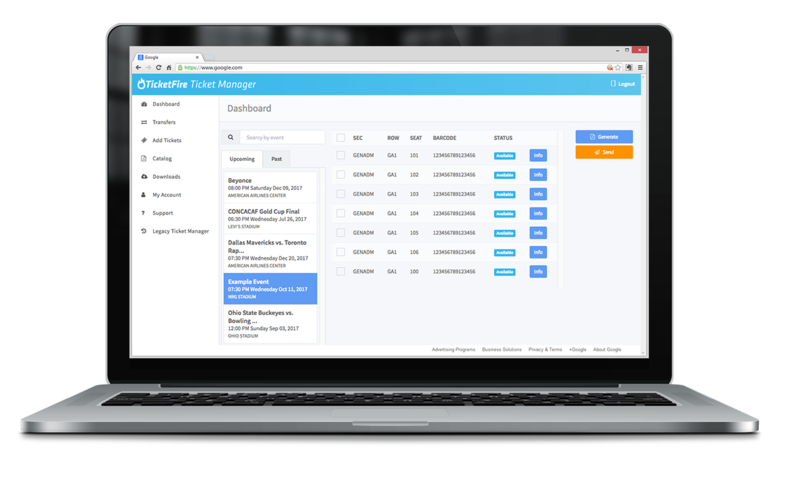 Our ticket inventory management platform allows high-volume users to use TicketFire technology for organizing, delivering, and analyzing large amounts of tickets on an easy-to-use, web-based, desktop interface. Easily convert hard tickets to PDF and mobile tickets. Excellent for last minute ticketing!